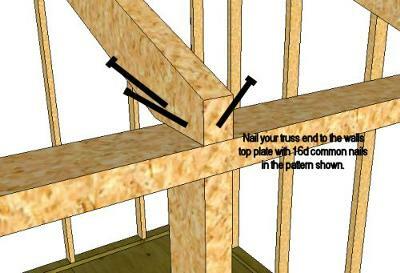 How to nail truss ends to top wall plate. 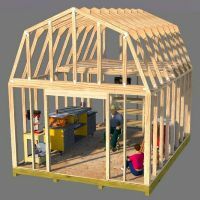 After you get the trusses lined up and ready to nail, how many nails do you use at each side and what location or angle on the wood do you nail them in? Use 3-16d nails and nail them as shown in the picture above. 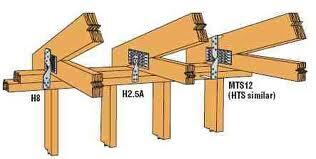 Be careful not to split the end of the truss and it would be a good idea to pre-drill the end first before nailing. This takes a little extra time but well worth the effort. 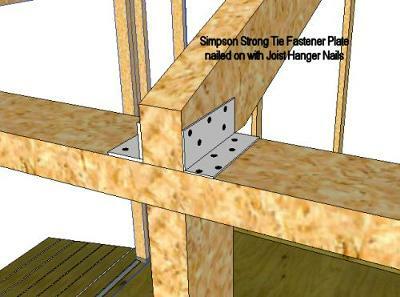 Another great way of attaching the truss end to the top wall plate is to use a simpson fastener shown in the picture above, which you can find at your local lumber store. 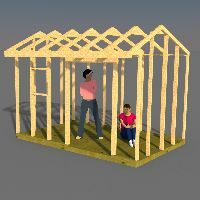 Some building codes around the country require the use of a hurricane tie, also shown above, to add extra reinforcement for holding down roof trusses in the event of very strong winds. These hurricane ties came about as a result of the hurricanes causing so much destruction to roof framing members down south particularly in Florida. The Simpson Strong Tie images above were obtained off doing a google search for Simpson Strong Ties. 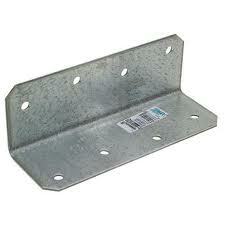 The product is highly recommended for attaching your roof trusses to the top wall plate. 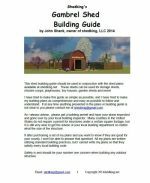 Most building codes require an uplift connection capable of resisting 175# of uplift at the bearing of each roof framing member. (3) 16d nails will only provie approximately 90# of resistance, thereby not complying with the code. I don't believe that the photos shown of the Simpson connectors are intended for use as truss tie-downs (or more commonly called "hurricane clips"). Always use the connection hardware that is designed specifically for the application for which it is to be used. Typicall Simpson hurrican clips would be models H2.5 and H2.5A. For higher loads, strap type tie-downs may be required. 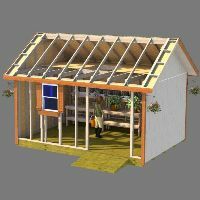 The truss drawings that are provided with the trusses are required to indicate the uplift force, which you can then use to choose the proper connectors. Also, always use the nails that are designed to be used with the specific connector. They have shear load resistance designed specificially for the application.